Ahead of the final iOS 12 release to the general public next month, Apple rolled out iOS 12 beta 8 a few days ago. The company has also switched to the weekly beta update cycle as it ramps up efforts to fixing bugs. iOS 12 beta 6 brought noticeable performance upgrades on the older models of iPhone as well as iPads. This will allow the devices to be considerably faster and smoother, which is always a plus. So let’s dive in to see how the latest iOS 12 beta 8 contributes to performance compared to iOS 11.4.1 in a speed test. The speed test between iOS 12 beta 8 and iOS 11.4.1 has been conducted by iAppleBytes on iPhone 6, iPhone 6s and the iPhone 7. Starting off with the iPhone 6, the device boots up at elast 5 seconds faster in iOS 12 beta 8 compared to iOS 11.4.1. While there are minor lags and frame drops, the overall user experience is smoother. Moreover, app launch time is marginally better as well. Altogether, the transitions and animations look more seamless. On the iPhone 7 and iPhone 6s, the bootup speed on iOS 12 beta 8 is almost the same. In addition to this, the devices continue to offer smooth performance compared to iOS 11.4.1 on the same devices. So we can say that iOS 12 will bring enhanced performance for older as well as new models of the iPhone. Apple will also seed more beta build of iOS 12 in the near future as well which will provide us with more insights on what the upcoming operating system has to offer. iOS 12 brings quite a handful of features as well which are definitely a welcome addition. In the end, users will not only benefit from improved performance but enhanced utility as well. There will be more to the story, so be sure to stay tuned in for more details. 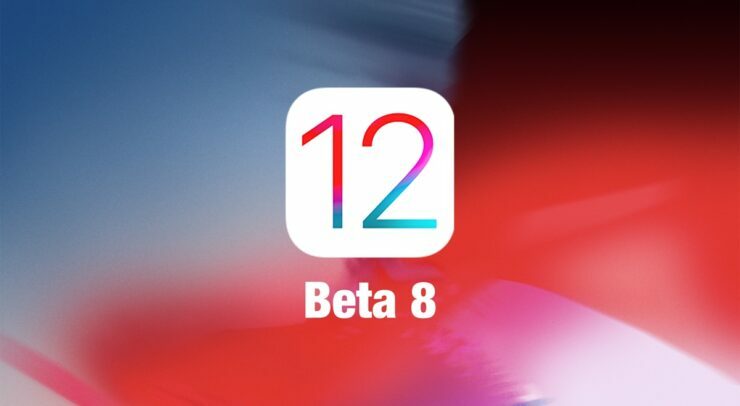 We will let you guys know more details on the latest IOS 12 beta 8 as soon as developers are done tinkering with it. This is all for now, folks. What are your thoughts on iOS 12 beta 8 speed test? Is your iOS device supported for the upcoming build next month? Let us know in the comments.